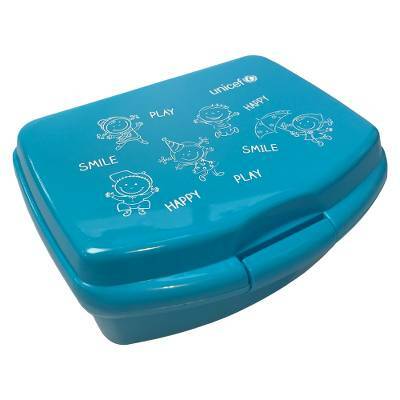 Cheerful children's lunchbox. Removable interior tray. Food safe polypropylene. Size: 17 x 14 x 7 cm.